Szotak & Sons Masonry Construction Improve your home's or business's interior and exterior with brickwork, concrete work, and masonry work from our contractors in Eagleville, Pennsylvania. At Szotak and Sons Construction, LLC, we perform all services based on your requests to create a look that satisfies your decorating and design needs. Make your property the neighborhood standout with services from our stone masonry contractors in Eagleville, Pennsylvania. Szotak and Sons Construction, LLC is a family-owned-and-operated business that serves homeowners throughout Philadelphia County, Bucks County, and Montgomery County. 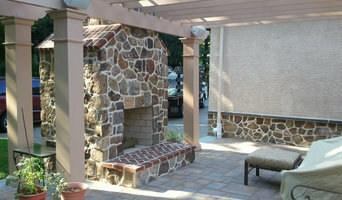 Skilled craftsmanship is provided for big and small residential and commercial projects, including historical properties. A History of Quality Our owner is a fifth-generation stone mason with more than 45 years of experience, our contractors are highly experienced with concrete work, and all of our work is designed to last the test of time while retaining its pristine appearance. Call us now to discuss the type of work you want. We are 100% dedicated to your satisfaction. 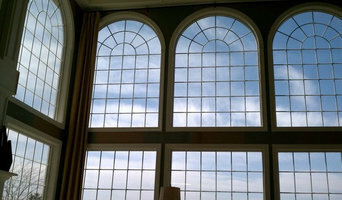 All Seasons Glass Tinting is a family owned business that has been installing energy control window films for over 30 years in the tri-state area. With clients such as PetSmart, Pier 1 Imports, Nordstrom, Bed Bath and Beyond, Sheraton Hotels, Dairy Queen, PECO Energy and Wyeth protecting their interior decor and improving the comfort of their buildings we believe there is no reason why you cannot do the same with your property. 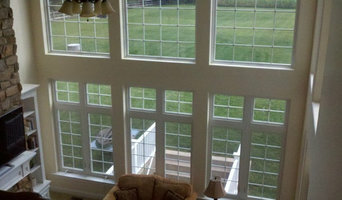 Tint-Pro 3M Window Film has been serving Delaware, Brandywine, and Lehigh Valley for the past 29 years. We are a family business and are very passionate about what we do, we pride ourselves in providing great service for our clients. Joe of All Trades is a Handyman-Home Improvement service. Our motto is "From floors to roofs & everything in between". Thinking of remodeling projects for your home? Does your home or office need repairs? Fully Licensed & Insured and located in Yardley, PA. Restoration Services is an award winning company specializing in restoration and renovations of older buildings. For two decades, we have been the Lehigh Valley's old house experts. We work closely with homeowners to evaluate their unique problems, understand desires and craft solutions which bring lasting satisfaction. We partner with our customers to offer advice on project design and scope and help develop realistic budgets. We are committed to excellence and a satisfied customer. We take pride in offering personal service and the highest quality workmanship. Our passion is Authentic Timber Framing and traditional carpentry. We collaborate and participate as members of a team to execute the architect's design and fulfill the clients goals to create a signature item, just for them. We used to be The Fence Experts, but now we’re Integrous, fence and deck builders who believe that craftsmanship and care go a long way. We take pride in every project we complete and invest extra time to listen, ask questions, and treat your family like our own. Since 2009, we’ve built a reputation based on uncompromising quality, integrity, and professionalism. Our fence and deck experts have years of hands-on experience and work closely with you to make your outdoor dreams a reality. Anderson Glass has been providing distinctive glass solutions for the homeowner, contractor or interior designer for many years. We provide interior glass walls, glass railings, backsplashes, as well as custom frameless glass shower enclosures for your luxurious bath environment. At Anderson Glass, we are committed to integrity, quality and professionalism on every project, whether it be in your home or business location. The craftsmen of Parable Renovations bring knowledge and passion to all that they do. Parable offers a full menu of renovation services to bring your vision to life, including unique skills with sustainable methods & materials such as non-toxic finishes and reclaimed wood. We are pleased to offer you a Complimentary Consultation on your renovation needs. You can trust us to care for your home, the health of you & your loved ones, and the environement. Our team of experts will guide you through the renovation process to ensure your project is timely, efficient, & delightful. A family owned & operated company, we've built our reputation on trust and customer satisfaction. We are committed to sustainability & pledge to use sustainable building methods & materials to make our company work for you, and the environment. Uncle Bob's Glass specializes in frameless shower doors & enclosures. We can help you with the design that best fits your bathroom. We do all the measuring and installs and back up our work with a 1 year parts & labor warranty. Our company is family owned & operated and our goal is to provide you with a beautiful high quality product that will provide years of enjoyment. As much as we love shower enclosures we also provide many other services. We fabricate & install mirrors, replace double pane glass in windows & doors and fabricate furniture tops & shelves for your home or business. Call us today we are here to help. We are a company that specializes in custom building, renovation, and fine woodworking and cabinetry. For over 30 years, we have been focusing on quality, detail, and satisfying the customer. 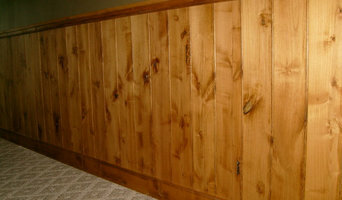 For more information about the company, check us out at <a rel="nofollow" target="_blank" href="http://raynorwoodworking.com/">http://raynorwoodworking.com/</a>. Also, you can find us on facebook as Raynor Woodworking Inc. Whether you’re looking for a team of Norristown, PA professionals or a handyman for a small renovation, you’ll find dozens of professional profiles and contact information for specialty contractors here on Houzz. Here are some related professionals and vendors to complement the work of specialty contractors: General Contractors, Landscape Contractors, Architects & Building Designers, Interior Designers & Decorators, Kitchen & Bath Designers. Let’s say you want to install custom wood flooring in your dining room, and you’ve found a Norristown, PA company with excellent reviews. Next you’ll want to contact the company and make some inquiries. Find specialty contractors on Houzz. Look in the Professionals section of our website under Norristown, PA specialty contractors, then select the nearest metro area for a contractor. You can also look through Pennsylvania photos of completed projects to see how a contractor might approach design challenges.